South Africans want data prices to fall. Instead, it’s the shares of the big listed telecommunications companies that are tumbling. 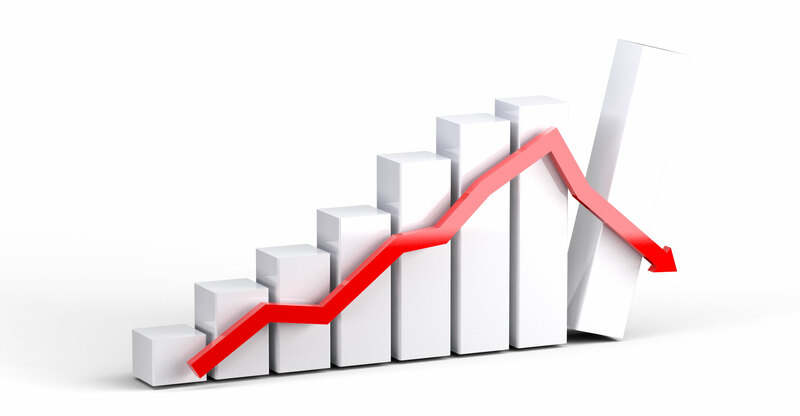 Share prices have come under significant downward pressure in recent weeks, with Vodacom, MTN, Telkom and Cell C shareholder Blue Label Telecoms all falling sharply. They are all trading at, or near to, multi-year lows. The selloff continued into Wednesday amid broad market declines as investors increasingly take a risk-off stance on emerging markets, including South Africa. Vodacom has been particularly hard hit since the publication of its annual results last month — the numbers fell short of analysts’ estimates — and news earlier this month that it had concluded a new black economic empowerment deal. In the past 30 days, Vodacom shares have lost 22% of their value. They’re even down over three years, falling more than 10% in that period. Someone who had invested in Vodacom five years ago would have seen a gain of only 18% (excluding dividends) in that time — not enough to keep pace with the consumer inflation rate. Vodacom shareholders are still, however, significantly better off than those who invested in MTN five years ago. MTN’s share price has lost 12% in the past month, but over three years it’s down a massive 53% (in part due to its previous troubles in Nigeria and in part because of the US recently re-imposing tough sanctions on Iran, one of the group’s key markets). Over five years, it’s off 41%. Telkom has fared slightly better, with its shares losing 10% in the past month and 20% over three years. Over five years, the shares are up an impressive 196%, but much of that gain took place in 2014. Since April 2015, Telkom’s shares drifted lower. Blue Label Telecoms, which last year acquired 45% of Cell C for R5.5-billion, has also seen its shares come under significant selling pressure. In the past 30 days, they have declined by 14%. Over three years, however, it’s the best performing of the telecoms stocks, with its value climbing 25%.